When it comes to changes in our vision, some of us adapt first and ask questions later. It’s the reason why presbyopia, the loss of the eye’s ability to focus up close in our later years, is also known as “long-arm sight” – the term, of course, referring to holding reading material at arm’s length where the eyes can focus more clearly. However, choosing to adapt rather than investigate isn’t as harmless as you may think. 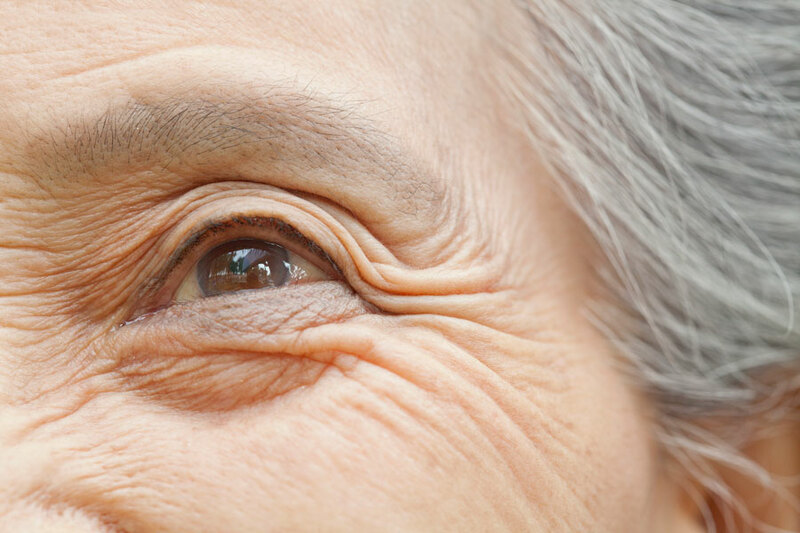 Dr. Jane Barratt, secretary general of the International Federation on Ageing, says that retinal diseases often involve subtle changes that may not initially cause us concern. Age-related macular degeneration (AMD), for instance, which is the most common cause of blindness in Canadians over 50, can cause blurred central vision in its early stages – similar to what we experience when we need a new prescription. For some, the blurred vision is less apparent under brighter lighting conditions, leaving more room for early signs to be shrugged off. For Barratt, vision is an important part of our overall health. “Vision affects our functional ability – our independence, which is intrinsic to healthy aging.” She suggests addressing our vision health with a preventative strategy that involves the following. Your family doctor may not inquire about changes in your vision. So if you’re concerned about a recent change or abnormality, ask for a referral to an ophthalmologist. “It’s important to put our eyes on the list together with the mammogram or the blood test or the vaccinations. It’s all part of that preventative lifestyle strategy,” Barratt says. Many retinal diseases including AMD can be present without symptoms, so having your eyes checked regularly is key. “It’s critical for all vision diseases but, for some retinal diseases, it can actually make or break whether you have vision loss, vision impairment or maintained vision,” Barratt says. She recommends a yearly screening starting around 40 and says not to ignore any changes in vision between check-ups. As for who to see, an optometrist is well equipped to screen for retinal diseases in healthy older adults, while those with comorbid conditions, like diabetes, should see an ophthalmologist. Generally, whatever’s good for your overall health is good for your eyes as well. Unfortunately, the adverse is true, too. According to the Canadian National Institute for the Blind (CNIB), a high-fat diet with little nutrients increases your risk of developing AMD. However, foods high in “good fat” like omega-3 fatty acids, which include cold-water fish such as salmon, mackerel and tuna, contribute to the health of the macula – the central part of our eye that deteriorates with AMD. Barratt also recommends leafy greens such as spinach and collard greens. They are high in zeaxanthin and lutein; nutrients and antioxidants that are also good for the macula. Vitamin A, which is found in animal sources like liver, eggs and fortified milk, helps with retina function and has been reported to reduce the risk of AMD. Orange, green and yellow vegetables and fruits contain carotenoids, which your body converts to vitamin A as well. And speaking of orange, a study out of the Westmead Institute for Medical Research in Australia found that people who ate at least one serving of oranges every day had more than a 60 per cent reduced risk of developing AMD up to 15 years later. Authors of the study attribute the preventative benefits to the fruit’s flavonoids, a powerful antioxidant that may help prevent the disease. Zinc is also important to vision health. It plays a vital role in delivering vitamin A to the retina in order to produce melanin, a protective pigment in the eye that serves the duel function of absorbing light and neutralizing retina-harming chemicals known as free radicals. Two clinical studies sponsored by the U.S.’s National Eye Institute found that a combination of zinc, vitamins and antioxidants showed promise in delaying the progression of advanced AMD. Those looking to slow the progression of macular degeneration should talk to their doctor about how much zinc they should be getting each day. Excess weight can cause health problems that can contribute to a retinal disease including Type 2 diabetes, which can lead to diabetic retinopathy – the leading cause of blindness among working-age adults. The CNIB also lists a sedentary lifestyle and high blood pressure as risk factors for AMD. And smokers should also take note that they are two to three times more likely to develop AMD. The risk is believed to stem from damage smoking causes to blood vessels that nourish the retina. The oxidative stress smoking puts on the lens of the eye is also believed to contribute to the formation of cataracts. Long-term exposure to UV rays increases your risk of developing cataracts and AMD. The CNIB recommends wearing a quality pair of sunglasses with 99 to 100 per cent UVA and UVB protection, year round – even in cloudy weather. Look for a sticker on the lens indicating the percentage of protection on your next pair. Also, ditch the dainty wire-framed sunglasses for the larger models that wrap around the sides and provide peripheral protection.